African Americans are no different when it comes to mental health conditions. Learn why your concerns and experiences may be different. 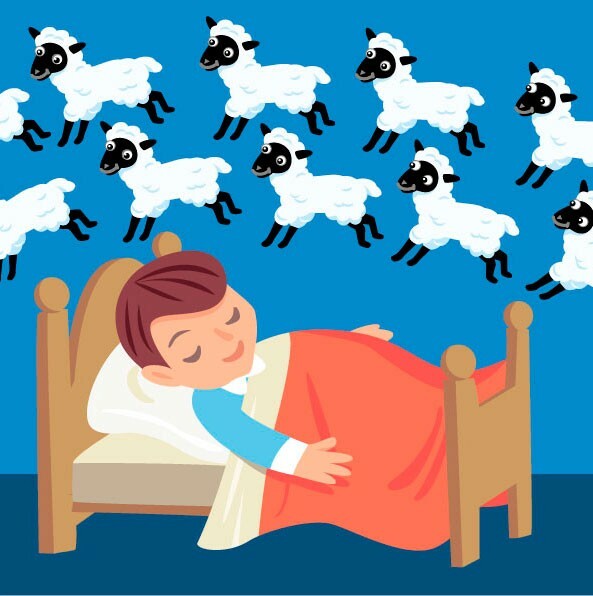 Informative articles and vids offering resources for Americans wanting to experience some, most or all of life’s joys. Hi, Yvette. What I see in this video is a distraught emotionally disturbed woman resisting lawful commands from a uniformed police officer. I see a woman acting irrationally after admitting the police were called to the scene to investigate an alleged offense reported by a third party not present in this video. I see a woman who in her mind believes she committed an offense for which she could be arrested, and despite the fact the officer is telling her she will not be arrested if she complies with his investigation, the woman irrationally believes she has the authority to dictate how the officer conducts his investigation. My impression watching this video is this woman committed some type of offense at a nearby location, the police were notified and responded to the scene, observing this woman with her two children leaving the location where she allegedly committed an offense, and ducking into this store in an attempt to elude the police. Not wanting to conduct his police investigation inside a private business and possibly disrupting that innocent business, the officer wanted to move his official police investigation outside. Sadly, I see the officer being distracted by a citizen who has every right to film this police citizen interaction, yet nevertheless adds needless emotional stress when standing close behind the officer out of view. I see additional officers arriving on the scene attempting to block the videographer’s line of sight, preventing him from recording a video that in my opinion totally exonerates this officer from any allegations of misconduct that someone might consider making against him. Sadly, I also see an American of African descent being detained by police and immediately needing to call for her mother. A behavior I witnessed over and over and over and over again during the 12 years I was a Brooklyn, NY cop. Again and again I witnessed mostly teen and adult boys and men calling out for someone to notify their mothers the police have snatched them up and they need mom, the person responsible for them “living wild” on the streets and being detained by the police, to come and help them. Yvette, even sadder is witnessing this apparently emotionally ill mother, to some extent, acting much like the late Ms. Korryn Gaines, who recorded herself traumatizing her children while conditioning them to HATE, as well as not to trust police. 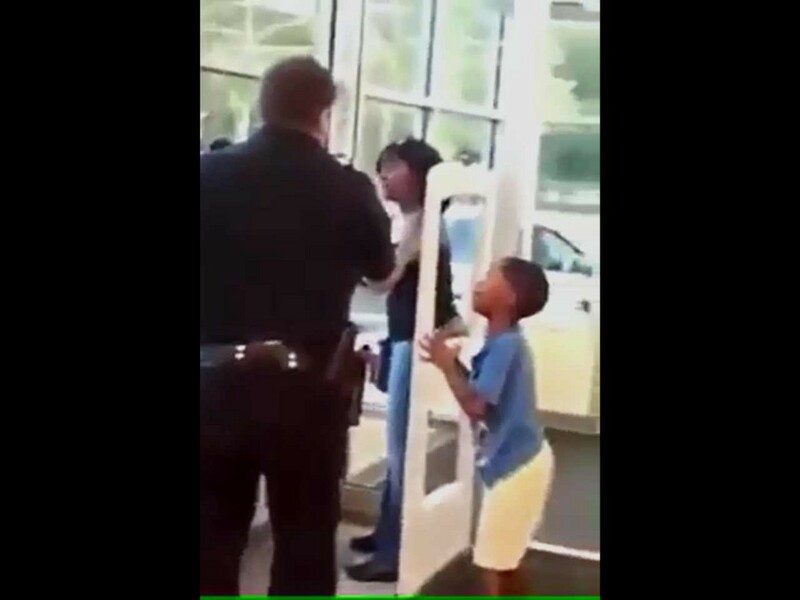 This woman had absolutely no lawful right to resist this officer’s commands. For the sake of her emotional well being, as well as the emotional well being of her children I hope someone who loves this woman and cares about her will do everything within their power to see that she get some kind of professional help. Perhaps if this officer were to see this recording he could forward it to child welfare authorities for professional evaluation and possible further investigation? A man streaming a Facebook Live video of himself and two other friends in a car ended up recording a shooting that left all three men with life-threatening injuries. The shooting took place in the Berkley neighborhood of Norfolk, Virginia. Sadly, it appears Sandra Bland’s emotional pleas for Peace & Unity fell on willfully or ignorantly deaf ears. My compassion and sympathy has practical limits. America’s FIRST PRIORITY should be improving the Quality of Life for significant numbers of OUR American neighbors. Why Do These Young Americans Require Mentoring And Special Services? Why Do These Young Americans Require Mentoring & Special Services? When I was having difficulty in school MY RESPONSIBLE PARENTS built the support network I needed to assist me. I did not requiring MENTORING or counseling sessions to help me cope with my life because my RESPONSIBLE, loving, caring parents RECOGNIZED that placing ABOVE ALL ELSE the EMOTIONAL WELL BEING of their child(ren) will most likely result with a fairly or wonderfully happy child maturing into a reasonably responsible teen and adult respecting themselves, their peaceful neighbors and the authority responsible for maintaining peace in all American neighborhoods. Yes, it’s a good thing that abused, neglected and maltreated American children are being offered the love, caring and respect they receive very little of in their homes. However, programs like this, in my opinion, are an extension of demeaning welfare programs that cause many kids to become resentful in the first place. They become resentful BECAUSE they are not being treated like most American kids. In their minds they view themselves as second class citizens requiring EXTRA care and services, unlike most American kids whose responsible, loving, caring parents who place the emotional well being of their developing newborns, infants, toddlers, children and teens ABOVE ALL ELSE!!! Yes, I am glad to learn responsible, caring, loving Americans are taking steps to aid American kids and teens who are introduced to an abusive and tumultuous childhood fraught with pain, hardships, fear, anxiety, violence, uncertainty, demeaning government handouts, struggles and hopelessness by GROSSLY immature, selfish, apathetic primary MATERNAL CAREGIVERS. Though I would like to know what meaningful ACTION RESPONSIBLE Americans are taking to PREVENT innocent, helpless human beings from recklessly, ignorantly or willfully being introduced to a painful childhood in the first place??? Evidence of African Americans Affected By Mental DISEASE known as Childhood Trauma & Mental Debilitating ILLNESS known as Cognitive Dissonance. Grammy winner and admitted victim of Childhood Trauma Kendrick Lamar is a model of a tormented & conflicted human being suffering great emotional harm during a critical period of his human development. Kendrick speaks about experiencing Childhood Trauma, witnessing MASS CHILD ABUSE & MALTREATMENT, UNJUST HUMAN OPPRESSION, violent felon family & community members who intentionally & recklessly ignored the well being of their children, UNJUSTIFIABLY DEPRIVING these kids from enjoying a home environment where they feel safe, loved & cared for. During a December 30, 2015 Chron interview, Kendrick recalls being a five-year-old child witnessing gun violence. A drug related “SHOTGUN” homicide right outside the home where he, his siblings and numerous cousins were UNJUSTLY OPPRESSED & INTENTIONALLY DENIED BY THEIR CRIMINAL PRIMARY CHILD CARETAKERS, THEIR HUMAN RIGHT AND NEED to feel safe, loved and cared for. via Shooting of Tamir Rice – Wikipedia, the free encyclopedia. When learning about the death of young Tamir Rice my heart sunk as I watched the operator of the PD car roll right up on a possible armed suspect, leaving the recorder and himself with no opportunity to seek cover before challenging a potentially armed suspect. I understand the operator was a training officer who should have had the experience and common sense to use more appropriate tactics. Horrible police tactics, coupled with an environment with a reputation for violence killed a twelve-year-old child playing in a local community park. I also believe mental conditioning may have played a role. The same mental/emotional conditioning many African American kids experience as they mature witnessing on a daily basis the the mayhem and violence in their community that over time conditions some or many kids to accept or become jaded by the violence that is a part of community life. I believe this same slow mental/emotional conditioning to accept or become jaded by violence that affects young children and teens who regularly witness it, affects police officers in much the same way. After twelve years serving the Brooklyn community Shawn Jay Z Carter raps about attempting to destroy with his poison drug trade and semi-automatic Mack Milli, I realized it was time to transfer when concerns for my emotional and physical well being were telling me I needed change. I wasn’t happy leaving friendships I made during those nearly twelve years, though I’ll be damned if I was going to continue risking my life and emotional well being for a community that largely refused to assist the police in removing seriously emotionally disturbed, violent people from their neighborhoods. In my opinion, sadly I believe most all of the angry, violent people I encountered were emotionally harmed during a critical period of the childhood development. Some cops can witness the daily mayhem, sadness and human suffering for thirty years and seemingly not bat an eyelash. Other cops like me lasted near a dozen years before my mind had enough of dealing with stresses mostly created by constantly dealing with depressed, angry, frustrated, unpredictable, sometimes suicidal teens and adults who were emotionally scarred by abusive childhoods that deprived them of experiencing and enjoying a SAFE, fairly happy American kid childhood. Then there are the cops who wanted a transfer as soon as they were eligible to get away from the near-constant madness and stresses of often dealing with depressed, angry, frustrated teens and adults mostly lacking empathy, compassion and respect for their peaceful neighbors because as children they were never imbued with these qualities or rarely experienced them outside of school. In school educators provide children with information and instill society’s basic values required for maturing into peaceful, fairly or well educated people. After class many children head home to deal with community and/or family life where a different set of less peaceful values is in many cases, forced upon them because if they don’t keep their lil mouths shut when their elementary school teacher introduces the DARE lesson presenter, they know there could be repercussions for them and/or their family. 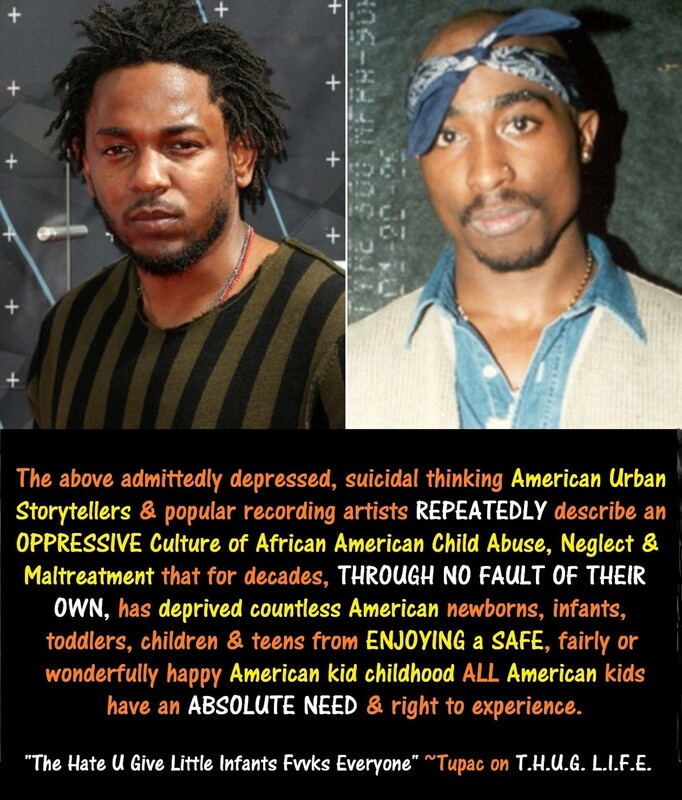 Essentially at home many kids like 2015 Grammy winner Kendrick Lamar who as a six-year-old first grade student was being taught to respect his classmates, while at home he witnessed “living wild” family members selling narcotics, using shotguns to protect and enforce their community-people harming drug operation in front of his home where little Kendrick, his siblings and cousins are supposed to feel safe. After learning this info it was not difficult to figure out why Kendrick raps about depression and reveals he’s experienced suicidal thoughts. And of course there are the small number of cops who meet and complete all the requirements of police training, though when it’s time to take the stage and perform, they just don’t have the skills, talent or temperament to deal with the harsh reality of life and all the human madness, suffering and excessive nonsense that comes their way. Sadly, Tamir lived in a community that caused extraordinary stress for some or most cops. In this case a rookie officer, working in a community where gun violence is prevalent was forced to make a split second decision, because in my opinion his training officer totally disregarded proper tactics for approaching a person suspected of being armed. I have few doubts the rookie’s mind is tormented with nightmares about taking another person’s life..especially an innocent kid. Being frank, there are a good number of teen girls and young women birthing newborns before they are emotionally prepared to deal with the 24/7 responsibility. More frank, many moms are ignoring their parental duty/obligations to their child(ren) and their community/societal responsibility to their neighbors by making their developing children’s emotional development their number one priority. 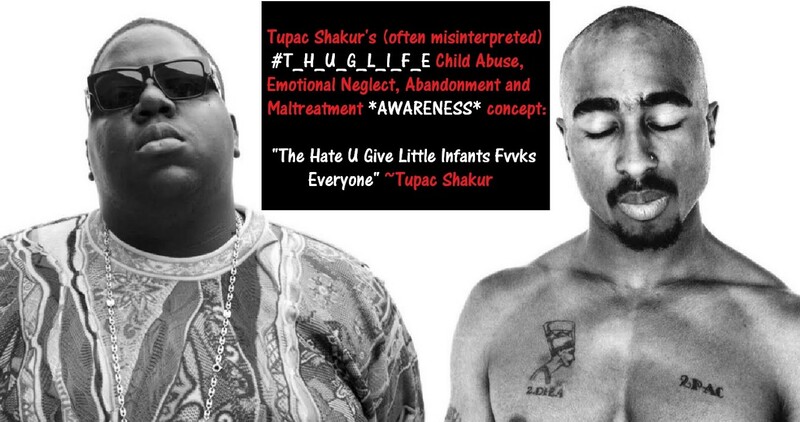 Today, far too many immature maternal caregivers are responsible for raising newborns, infants, toddlers and children who often mature into depressed, angry sometimes suicidal-thinking teens and adults much like Tupac Shakur, Kendrick Lamar and countless other victims of Childhood Trauma, Abuse, Neglect and Maltreatment. Yes, some police officers need to do a better job of remaining professional, adhering to their training, keeping cool and not allowing the madness to erode their humanity or basic human respect for others. 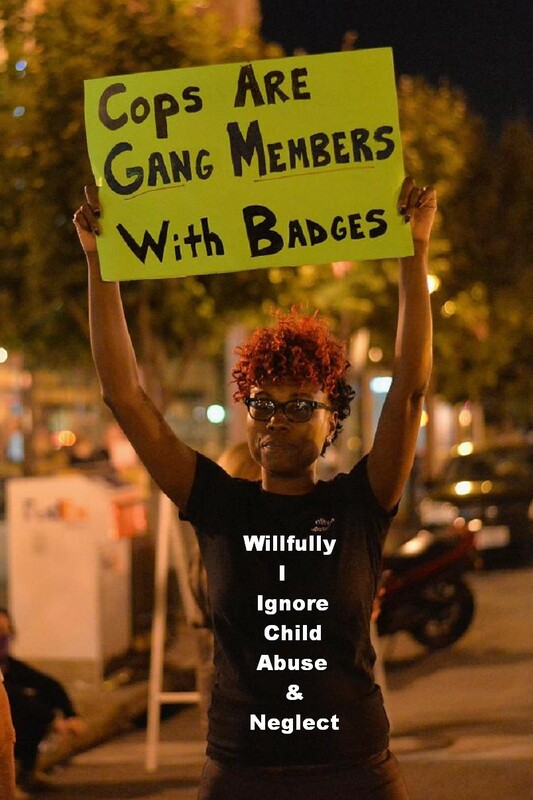 Just as some single and married moms need to do a much better job of raising, nurturing and socializing infants, toddlers and children who mature into fairly happy, responsible teens and adults respecting their peaceful neighbors and the police officers who serve our neighborhoods. via Mayhem in Oakland: Police car smashed, chopper shot at after violent sideshow — RT News. I really wish depressed, angry, frustrated unpredictable, sometimes suicidal teens and adults (NY Times May 18, 2015 – Rise in Suicide by Black Children Surprises Researchers) would turn their anger, outrage and resentment on THE SINGLE MOMS responsible for depriving them of experiencing and enjoying a safe, fairly happy American kid childhood when single-moms selfishly and irresponsibly introduced their children to a life of pain and struggle by building families before acquiring the skills, PATIENCE and means to raise a happy child who matures into a fairly happy teen and adult with mostly fond childhood memories. I am not advocating violence, not by any means. I talking about a Million Victims of Child Abuse March begging teen girls and young women to become better, more responsible caregivers to their developing girls and boys. It’s time to bring the OG Culture to an end.